There are many tourists who just assume their US or Canadian car insurance policy is good enough to cover their liabilities in Mexico. As a tourist, what nobody tells you, unless you inquire specifically, is that the law in Mexico stipulates that every driver should have a Mexican auto insurance policy. The other thing that many tourists seem to be unaware of is the alternative option of an equivalent lump sum of money; where you can carry money equivalent to what an insurance cover would compensate a road accident victim. The latter aspect is, however, not an option many tourists would go for because it is actually ridiculous to carry $300,000 or more in your car in a country you know little or nothing about. 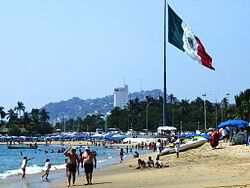 Do Mexican authorities give concessions to tourists? Once in Mexico, you will be expected to be covered by a Mexican insurance company. Liability levels for third party damages need to be covered up to a minimum of $300,000. In fact, some states demand a higher level of above $500,000. Mexican vehicle insurance companies have agents in the US too, so you can buy your policy before you leave. 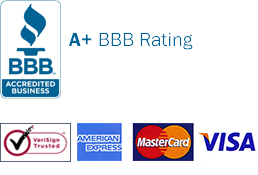 Some insurance companies offer online services. Good auto insurance is the one that will render you legal assistance in case of an accident; medical cover and evacuation services; on top of paying for damages to the car. So, it pays to compare different offers from different insurance providers before you buy a policy; and if possible get a complete package. The insurance cover that is sometimes incorporated with car rental charges is usually inadequate. If your policy covers only the mandatory third party liability, you are personally exposed as that policy does not cater for your personal injury or loss. That is why a comprehensive package may be the best option for a tourist who happens to be many kilometers away from home. The repercussions for not having the requisite auto insurance or the acceptable alternative of bulk cash are doing time in jail and having your car confiscated. That means you will have a bone to pick with the rental company as well in case you breach the agreement between them and yourself. It could cost you extra money you had not budgeted for. If you plan to crisscross different Mexican states, you would be safer being guided by the higher minimum of over $500,000 third party liability cover due to the varying laws in the different states. What should a good Mexican insurance package include for a tourist to be at ease? Get your vehicle secured so that your policy has a clause for total theft; in which case the insurance will replace the car if stolen. The package also needs to cover collision, in which case your car will be repaired in case of an accident and cost met by the insurance company. You will also be at ease knowing your policy covers medical expenses in case of injury on the trip, evacuation in case of a serious accident in a remote area, and lawyers’ fees. Obviously, you are going to spend a little more on a comprehensive package than a Mexican car insurance policy that covers third party liability solely. But it is, definitely, worth the peace of mind you will enjoy as you traverse the urban as well as rural parts of the country. In order to enjoy your stay in Mexico it is important to extend you Mexican insurance so that you don’t get into trouble for any serious crime or accident. 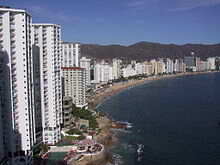 The ease with which you can acquire Mexican insurance should not make you overlook all caution. Not all auto insurance online purporting to be for Mexico abides by the law. Mexico insurance cover must be from Mexico registered providers only. Never risk. It is not worth anything to evade having insurance cover. The inconveniences can only lead you to regrets. Take advantage of the cheaper and genuine option – online Mexican auto insurance cover. Well, having Mexico insurance policy should not make you be callous. A significant number of places have plenty of reptiles. Thus, you need to drive carefully not to smash them as they cross the road. Mexican insurance makes life more simplified. You don’t bother yourself driving with worries because you’ve got a protection the surely works. Shrimp Festival entices many attenders from the nearby communities including those from Arizona and California cities. If you’re driving your car, it matters to really bring Mexican insurance. Whenever there is a checkpoint, military personnel may request you show your driver’s license and insurance information. Keep your car ready for a quick inspection. Most of the time they just waive you on through. In addition to Mexican auto insurance the next thing you need to have when driving is patience. Definitely, there’s a bit of a difference in Mexico. Car insurance can be cancelled prior to a trip if a storm is coming near Mexico. This is one great consideration your Mexico insurance company allows.